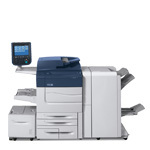 The Xerox® Color C60/C70 Printer provides application versatility and professional image quality, and is flexible enough to grow with your business. It's an all-in-one solution that can boost productivity in any environment. 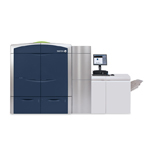 Xerox Color 800i/1000i Presses deliver best-in-class availability, sharp, rich, digitally mastered image quality and limitless flexibility. Our <a href="&[HTTP_NAVIGATION_DRUPAL_SERVER]/digital-printing/clear-dry-ink">specialty dry ink</a> station adds unique value and impact to documents – running at rated speed. Xerox-exclusive Full Width Array production and colour automation allow you to drive more high quality jobs through your shop and reduce costs. © ERBS Digital . All Rights Reserved.